The big video game conferance ( e3 expo ) was on during the week. 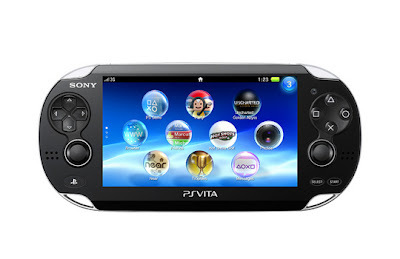 Just last week during the 2011 E3 press conference sony proudly unveiled an incredible 2011 software lineup and amazing new PS3 peripherals, and also shed new light on our highly anticipated handheld gaming device, officially named PlayStation Vita (PS Vita). “Vita,” which means “Life” in Latin, was chosen as the name for our next-generation portable entertainment system because it enables a revolutionary combination of rich gaming and social connectivity within a real world context.